Alter The Press! 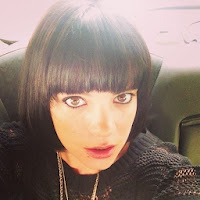 : Lily Allen Hospitalized For Suspected "Food Poisoning"
Lily Allen Hospitalized For Suspected "Food Poisoning"
Lily Allen was hospitalized yesterday (May 8th) following symptoms of dehydration, queasiness and projectile vomiting. The singer has been undergoing tests after being admitted with a mystery illness, possibly food poisoning. "#SHEEzUS in #SHOSPITAL . I'm fine though guys, just need some fluids cause i can't keep anything down. #dramz"